One of the first things one might consider in specifying a paper shredder is its capacity- how many sheets can you feed at once? How quickly will it shred the paper? Together, those factors determine the overall throughput of the machine. The capacity can be stated in sheets, reams or pounds per hour. The capacities of paper shredders widely varies. So, one might wonder why paper shredders have the capacities that they have. Why do their capacities vary? Why don’t they have higher capacities? What are the limits? One of the biggest factors that determines the capacity of a paper shredder is its cut size. Consider this; a strip cut shredder with 1/8″ cut will turn a standard sheet of paper into 68 strips. Now, consider a general purpose cross-cut shredder, with a common cut size of 5/32″ x 1 5/32″ (aka 4mm x 40mm). That machine will turn a sheet of paper into about 515 pieces. Clearly, a cross-cut shredder must apply a lot more power to make the additional cuts compared to a strip cut shredder. That means that for the same size machine, a cross-cut shredder will have a lower throughput versus a strip cut version. A given motor can only supply a limited amount of power to the job. The bottom line is that the smaller the cut, the smaller the stack of paper one can feed. Now, think about a high security/NSA Listed cross-cut paper shredder with a 1mm x 5mm cut size. These shredders cut a standard sheet of paper into about 12,000 bits. This cut size requires enormously more power to accomplish versus a general purpose crosscut. These shredders require feeding even smaller stacks of paper. The high ends of these ranges represent the most paper that is (so far) mechanically possible to shred, using 120 volt wall current. Because circuit sizes are typically limited to 20 amps, there is a ceiling on the maximum electrical power, and in turn a limit on the maximum capacity of these machines. Sometimes I see shredder advertised with specifications that are “stretched” a bit, but the real world throughputs for regular office type paper will fall right around the levels I’ve indicated above. 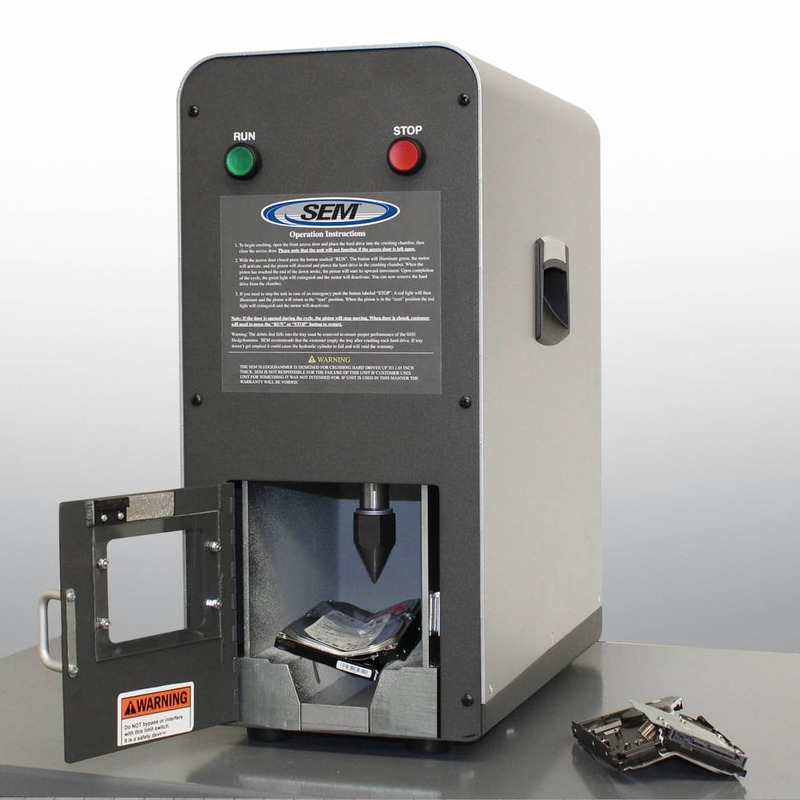 Despite the very real physical barriers to improving shredder capacities, SEM recently made one significant improvement. In the past year we released the Model F65, a general purpose cross-cut shredder. This machine has a number of “first ever” features, including sophisticated sensors and logic. The Model F65 can destroy stacks of paper up to 65 sheets thick, blowing past the highest throughputs seen in the other shredders in its class. A 65 sheet capacity had previously only been possible with a high voltage type shredder. The F65 is a rare exception to what seemed like a hard limit on the maximum feed thickness. However, the overall story of shredder capacities, tied as it is to maximum electrical/mechanical power limits, is likely to remain pretty much the same as it has been for decades.